A popular brand which offers excellent value for money. 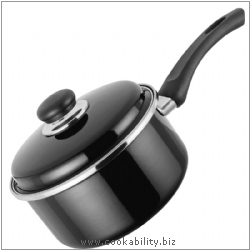 Induction saucepan with tough enamel finish and DuPont Teflon coating. Suitable for use on all hobs.